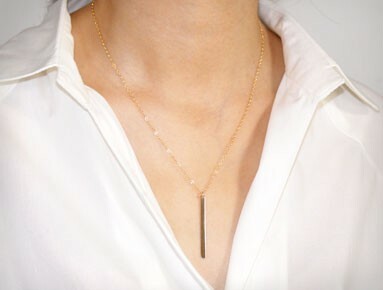 Materials: 14K Gold Filled Bar, 14K Gold Filled Chain, Swarovski Pearl * How to order * 1. Please select chain length & letter color in the drop down list. 2. Please type initial you want to stamp in Product Customization below. ( ex: L ❤ W ) The Product Customization is at the bottom. 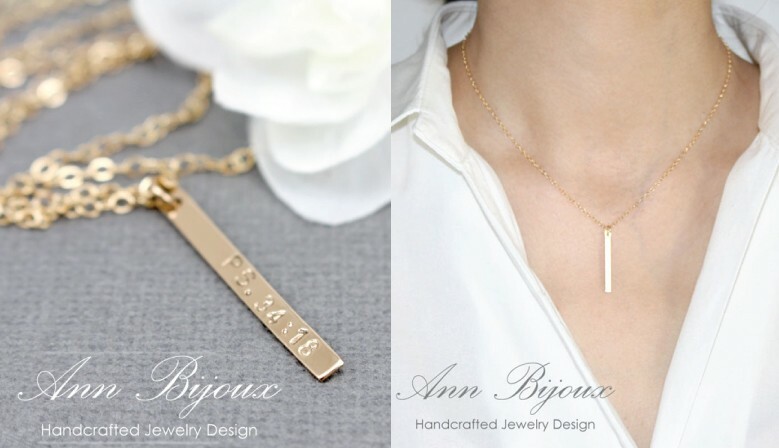 The Ann Bijoux creates Hand stamped jewelry, personalized jewelry and special keepsakes that are customized with any initials, names ,dates or meaningful phrases. 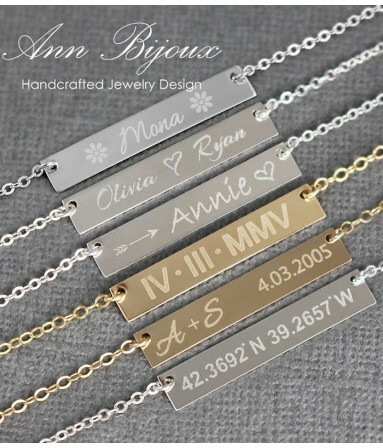 Our personalized jewelry is created using sterling silver, gold filled, stainless steel, freshwater pearls and swarovski crystal birthstone and makes the perfect unique meaningful gift. 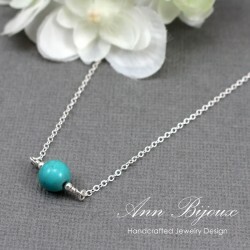 Our desire is to create simple, lovely items that can be worn with jeans or any dress. 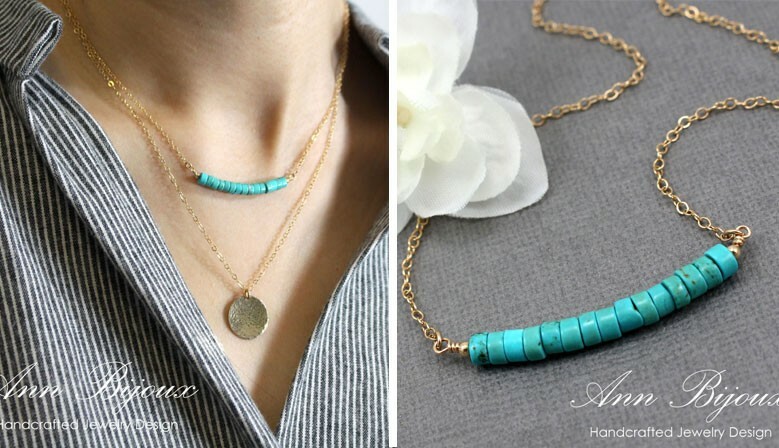 We want each piece to be meaningful. 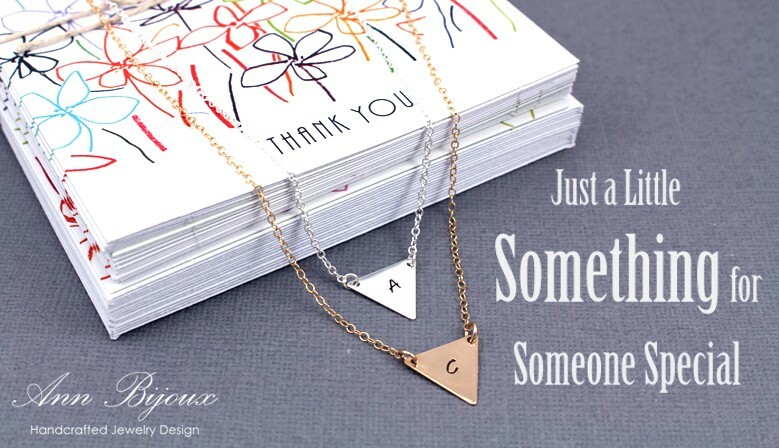 Each piece we create is a work of art—hand cut, hammered, polished, drilled and assembled with care. 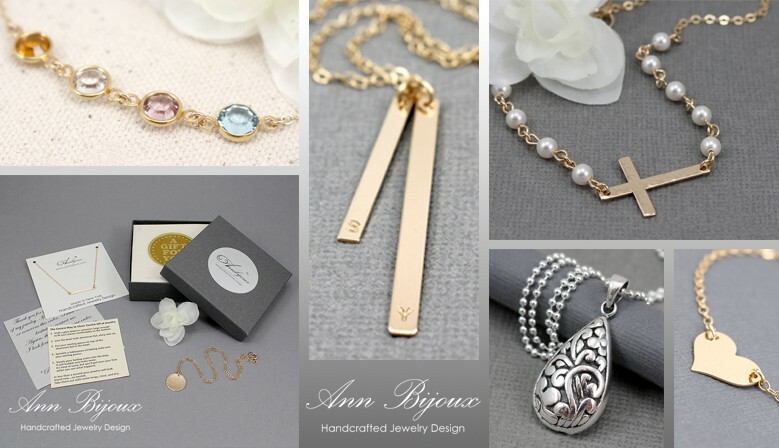 All of our items are handmade in Ann Bijoux's NY studio, making our custom hand stamped jewelry true special piece created just for you!